When it comes to adding a little pizzazz to your home, the number of options that you have to choose from may feel overwhelming. However, with a bit of careful consideration, you can easily make a decision about not only what looks best in your home, but what speaks to your personal tastes. One of the main places where you can leave your mark is by choosing the right accents. This is especially important when choosing which tile will work best in your bathroom or kitchen. Your home deserves only the best, so we’re going to give you some insight into picking tiles that are not only stylish but also easy to maintain. It helps to have a plan when it comes to purchasing new tile for your home. Deciding on exactly where the tile goes in a room can help you determine exactly which material you need. Do you want to use the tile as a backsplash for a wet bar? Or perhaps you would like to have a new tile wall installed in the bathroom. Maybe the kitchen could do with an updated tile floor. Once you figure out which room the tile will go in, you or a contractor will need to go in and get the exact measurements for the area. It helps to measure this out a couple of times to ensure that you make and costly mistakes such as buying too much material. What Type of Tile Do I Need? Glass – Beautiful, colorful glass tiles make for a great addition to bathroom walls or any vertical area. This type of tile is valued for its versatility and elegance. Plus, it can often be mixed with other types of tile to create more visual depth in the room. Even better, this tile is easy to keep clean. You can wipe it down using a soft cloth and normal cleaning supplies. 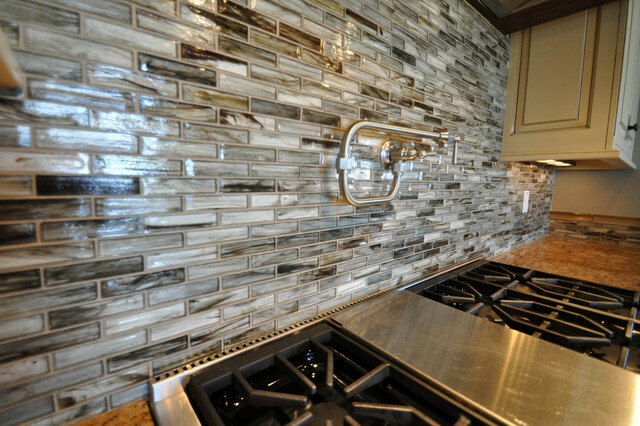 Glass tile is also resistant to discoloration and fading. 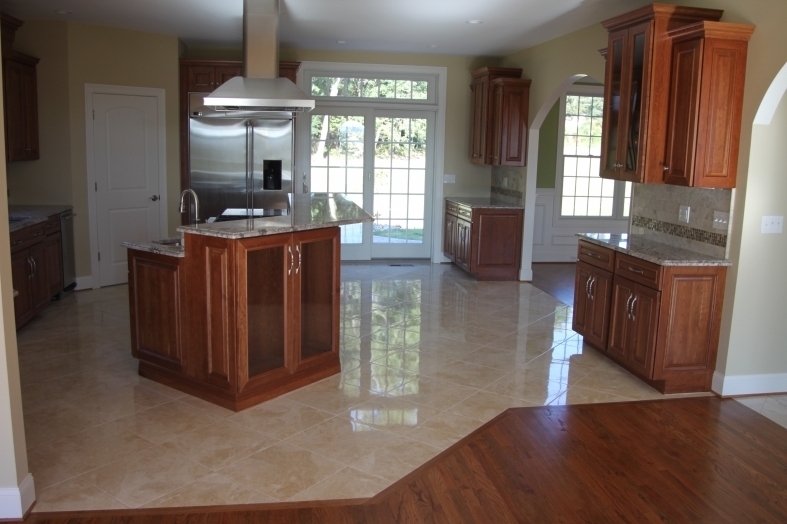 Ceramic – Often mimicking the look of stone, ceramic tile is often used for floors in the kitchen or living room. Ceramic is generally only used indoors since it has a lower absorption rate and can easily break because of it. Don’t let this deter you though, ceramic is generally a less expensive option for those who want to install tile that is stylish and creates a stone-like look in their home. 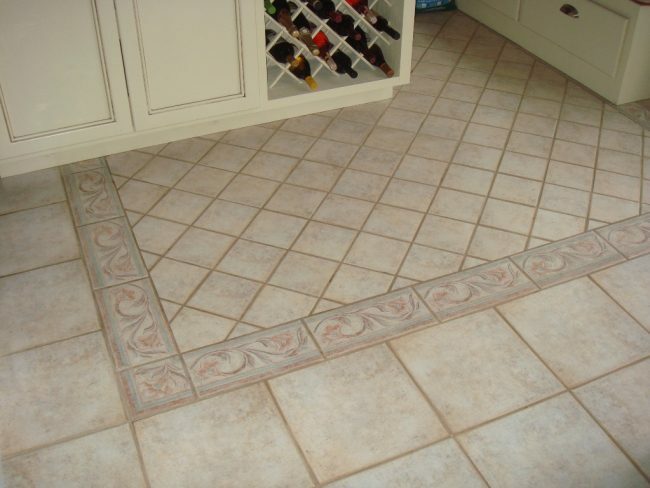 Porcelain – A close relative to ceramic tile, porcelain is a more dense and higher in quality. As a result, porcelain is a more durable material. As an added bonus, any chips or imperfections are easier to hide versus ceramic. When purchasing porcelain tile, the best option would be to find a company that certifies that its tile is truly porcelain. Due to its low water absorption percentage (less than 1%), it’s ideal for sealing it against water potentially creeping into it. Plus, you can easily spot clean or mop it. Natural Stone – With a number of options out there, which include slate, granite, quartz, and marble stone tile can often be one of the most expensive options. It’s versatile and has a number of unique qualities making it a highly desirable option. Natural stone has the benefit of adding true texture and depth that other materials can’t hold a torch to. However, this material is also not the greatest for hiding spills due to its porous surface. So this material would require that it is sealed on a regular basis by a professional. How Much Use is The Tile Going to Get? Think about how much traffic goes in and out of the room where your new tile will go. For rooms with high foot traffic, it would be best not to use glass tile on the floor. In other cases, you may find that this material works best in rooms where the worst punishment it can receive is a little tomato sauce splatter from cooking. For those who want a more durable material that is easy to take care of, porcelain tiles are a heavy-duty option. Since they are so heavy and it takes more effort to install, it’s recommended to only use this on floors. When looking for a tile that is easy to maintain, it’s important to not only factor in the time that you want to care for the material. Do you care more about the texture and intricacies of the material? Would you rather wipe up any messes once or twice a week? Some material like glass or porcelain does not need to be constantly protected against water seeping into its surface. 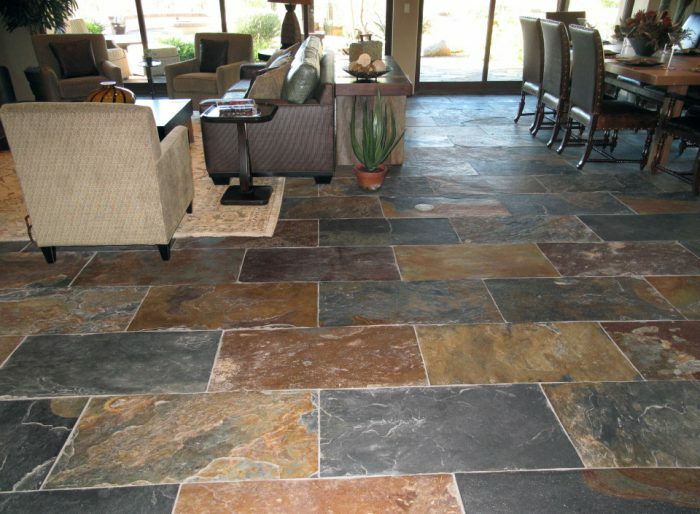 However, natural stone and ceramic need a little more care to ensure that they retain their beauty and remain durable. Your home is quite possibly your greatest investment. It makes sense to choose what not only looks best but what best fits your tastes. Whether you are adding a classically elegant accent to your bathroom or creating a more rustic look in your living room, it’s important to select a tile that is not only lovely to look at but also easy to maintain. Keep in mind how much time and effort you want to put into these options. Especially since this type of purchase is often a costly one. Remember though that this is an investment not only in your home but also an expression of you.